Obedience training teaches your dog to respond reliably to your commands in whatever situation you find yourself. We do this with a range of training techniques and exercises that will familarise handlers and their dogs in daily occurring situations. 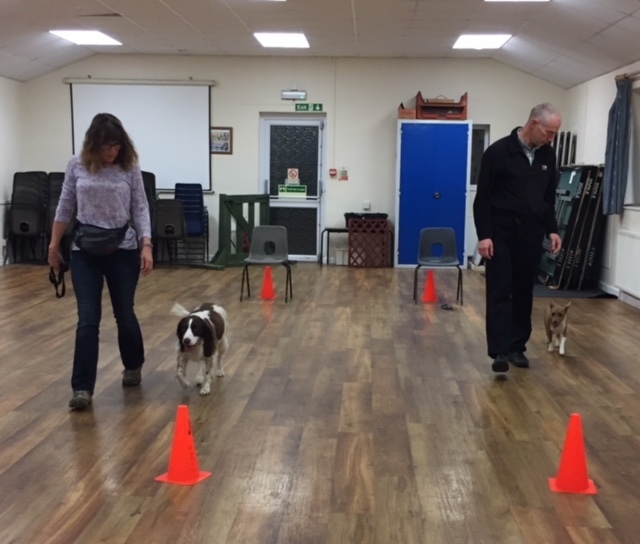 The training can also be regarded as a foundation for obedience competition work for those wishing to be more involved in a more competitive nature. 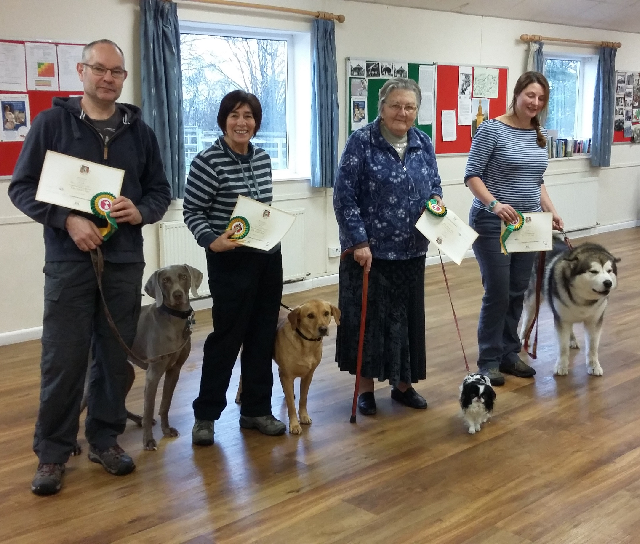 We also provide our members with training in various aspects of dog ownership. 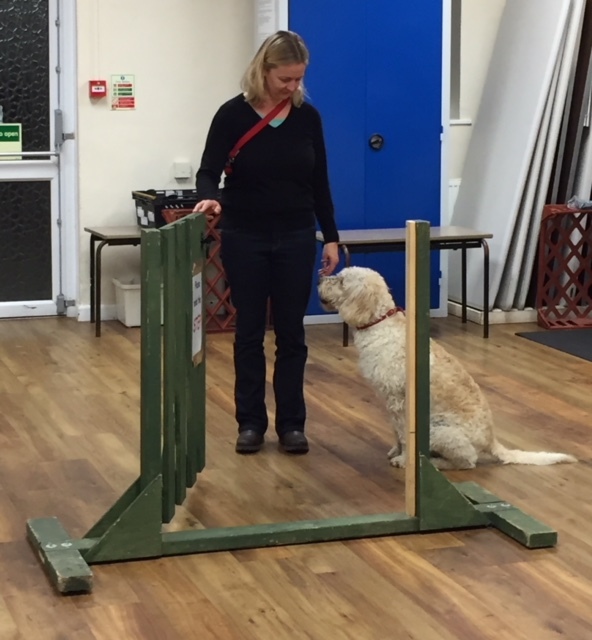 We cover basic to advanced handling techniques and follow the framework of The Kennel Club Good Citizens Dog Scheme. 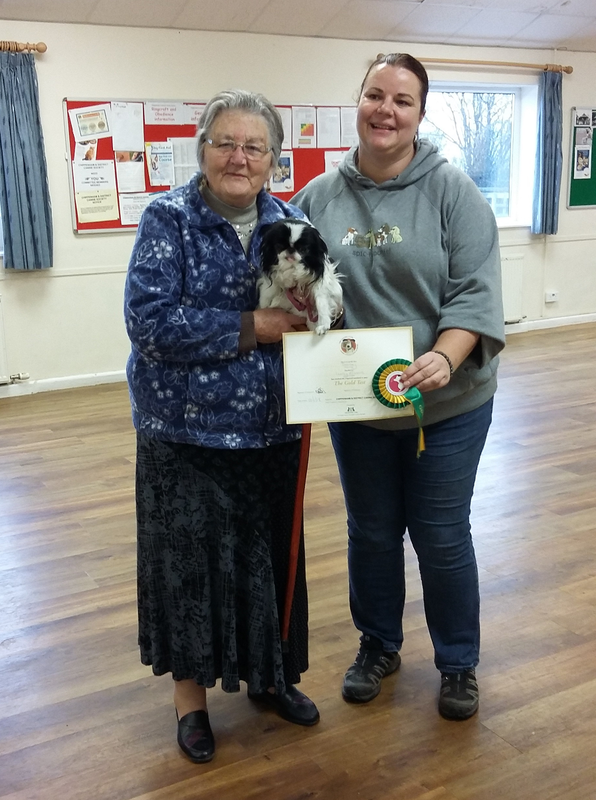 Each level within this scheme involves the gradual development of skills relating to your responsibilities in owning and caring for your dog. 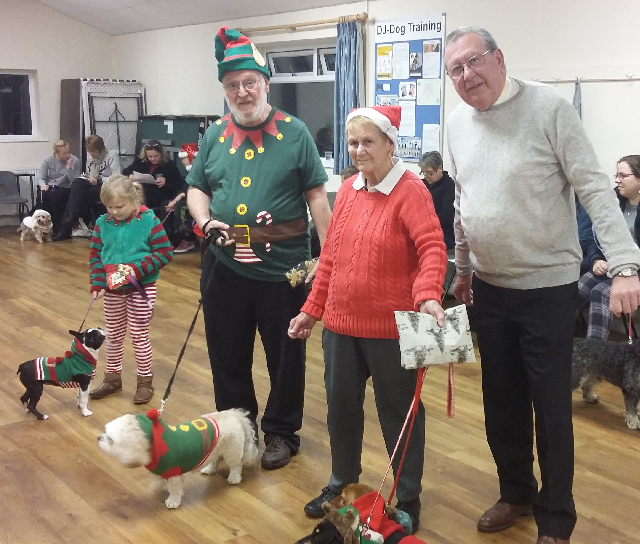 All of this takes place in a friendly atmosphere with like minded people, who wish to have a happy responsible working relationship with their pets. All new Dogs will be assessed during the first few weeks of training to make sure that they do not exhibit any abnormal or aggressive behaviour which could cause concern to other members and their dogs. Should this occur, you will be asked to seek specialist behaviour training, which unfortunately we are unable to offer. Your dog relies on you in every way, for food, water, shelter, protection from and treatment of illnesses or injuries and belonging to your family pack, although it should never be the leader. You have a duty of care, which is a legal requirement under the Animal Welfare Act. Your Dog will respond best to consistent commands, repeating set words or phrases for each of the activities you want it to carry out i.e. dogs name & sit, down, stand, come, heel, stay etc. Remember consistent commands get consistent responses. The following activities will help your Dog to become part of your family, a pleasure to be with and that you can take anywhere. Attentive response to name – so that you get your Dog’s attention to communicate with it more effectively. Making friends with unknown people – introduce initially with people you know are dog friendly, so that your Dog socialises with & remains calm with other people. Understand the basic commands of SIT, DOWN and STAND - practice these movements, with incentives if necessary, so that you can get your dog to adopt these positions. It will help when you want your dog to stand or sit quietly for any reason or when it has to be examined by you or at the vets. Recall – at home get your dog to come to you when you call, use incentives if necessary, this will form the basis of getting your Dog back to you when out walking. Stays – getting your dog to stay in one place for short periods to start with is the beginning of getting it to understand the word “STAY”, so that it will remain safely in one place, until you wish it to move or return to you. Walking in a controlled manner – Your dog should learn to walk quietly by your side without undue pulling, otherwise you will not enjoy your walks together. Avoid long leads when “road” training as they could trip you or other people up. Short leads should always be used in this situation so that you have complete control over your dog. ROAD TRAFFIC ACT 1988 (Part 1 section 27) It is an offence to have a dog on a designated road without it being held on a lead. Food Manners – get your dog use to taking food or treats from you without snatching. A dog that snatches food is in danger of accidently biting the person who offers it. This is not an exhaustive list, but is the start of the basics that will help make owning your pet a pleasant and enjoyable experience. WHY IS OBEDIENCE TRAINING IMPORTANT? You can get an unlimited fine or be sent to prison for up to 6 months (or both) if your dog is dangerously out of control in either a public or private place, including the owner's home. You may not be allowed to own a dog in the future and your dog may be destroyed. Obedience training teaches your dog to respond reliably to your commands in whatever situation you find yourself. We do this with a range of training techniques and exercises that familarises handlers and dogs to daily occurring situations. 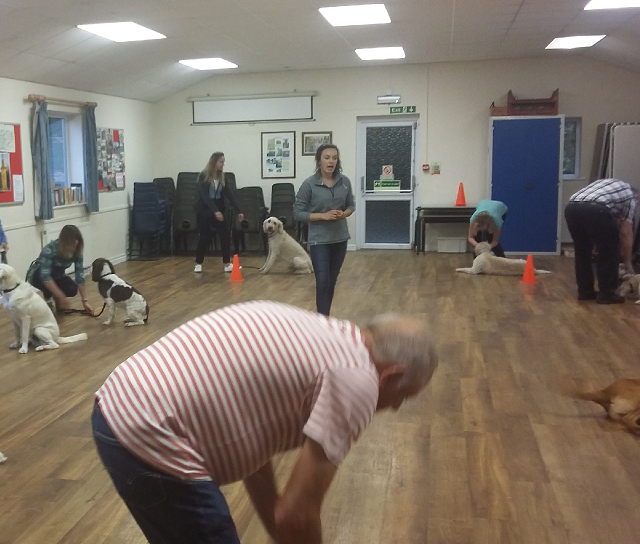 We provide our members with training in various aspects of dog ownership and cover basic to advanced handling techniques. We follow the The Kennel Club Good Citizens famework, which is the largest dog training programme in the United Kingdom. Puppies must be over 12 weeks old and owners are required to produce a vaccination certificate on registration. Chippenham & District Canine Society Dog Training has its own Facebook Page!